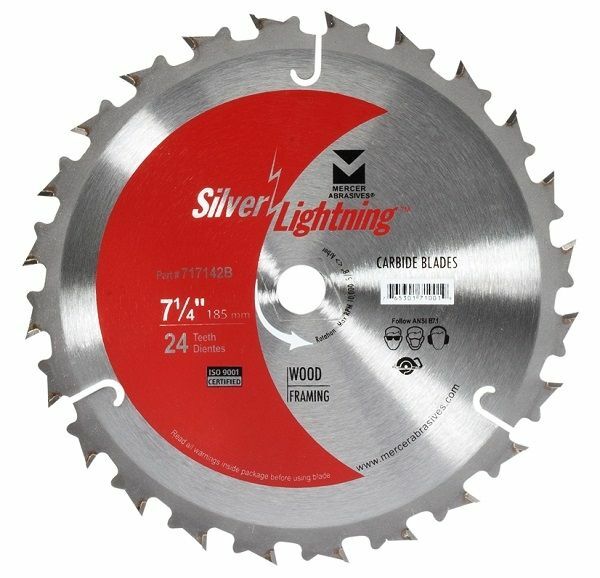 Mercer Silver Lightning™ is a collection of 27 wood cutting carbide blades for every construction application. These high quality steel blades cut fast, clean and accurately. Their laser cut vents reduce noise and vibration, while stabilizing the blade and producing a smoother, cleaner cut and longer blade life. Our laser cut heat expansion slots allow the blade to expand due to heat build up while keeping the cut accurate and controlled. The laser cut arbor reduces vibration and wear and keeps rotation consistent.